The Mongolian hordes seemed unstoppable. Yet in the year 1222, the great campaign reached a sudden and unforseen end. 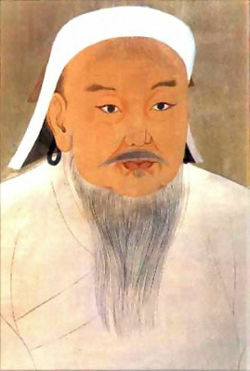 The Warlord, Gengis Khan, had just before this reached the Crimean peninsula. The locals of these lands tell a tale that historians never have accepted: Gengis Khan was intercepted by a man draped in red in the city of Sudak. His royal guards dared not strike him down, as his being seemed ethereal, as if divine. He spoke to the Khan, who dropped his blade and shed a single tear.